This is a great collection. The stories surprise, and are full of surprises. They are funny, provocative, clever, charming, and quite brilliantly written. A journalist sees an otherwise average house rise into the air. Two old codgers speculate about a utopian life created by writing that need never be read. An elderly priest and an even more elderly widow scan deep space in search of the meaning that eludes them at home. A woman invites a friend from the distant past to attend her suicide. The late great Earth is going through a phase and is desperate for new answers. Its creatures, crawling about seemingly having a good time, are strangled by their stale imaginations. A world that now has nearly everything is still pathetically short of the long haul. Written with great compassion and humour, Michael J. Farrell’s stories are crammed full of life; and they quietly celebrate all the mystery and potential of our frail existence. Just live as long as you can, they urge us, and expect the unexpected. Michael J. Farrell grew up in County Longford not far from the Shannon. 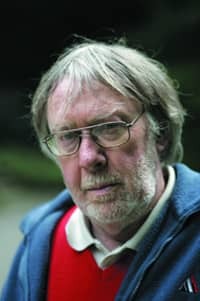 He was a priest for some years, during which time he edited the annual literary reviews, Everyman and Aquarius (he edited a book of the highlights from these, Creative Commotion, for the Liffey Press in 2009). Farrell spent his middle years in the practice of journalism in the USA where he was an editor at the National Catholic Reporter. He also edited and contributed to books, while reviewing others for, among many, the Los Angeles Times. His novel Papabile won the Thorpe Menn Award in 1998. 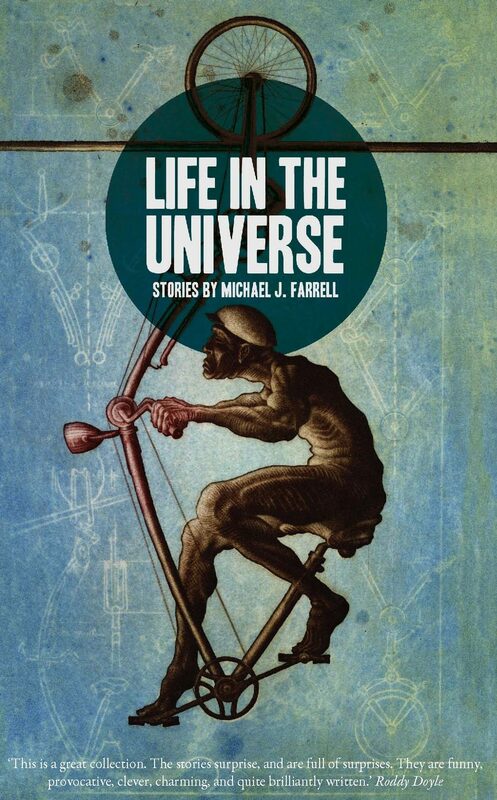 Life In The Universe was his first collection of stories. A second collection, Life Here Below, was published by New Island in 2014. Michael J. Farrell embarks in ‘Life in the Universe’ on a kind of probing trip to find out if there is life yet in the light up above, and light in the life here below. Such a title in other hands might be facilely grandiose, but in Farrell’s hands it is a glory [. . . ] these stories keep you looking up in a philosophical sense, looking beyond the immediate material world to speculative dimensions that are partly religious, and partly scientific.